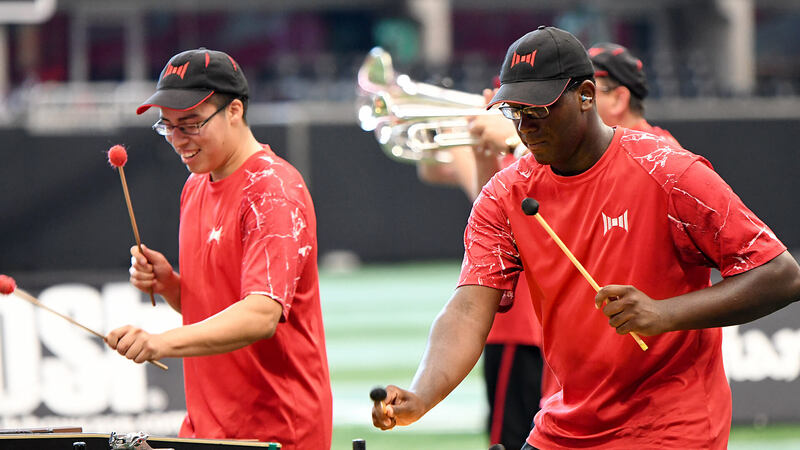 ATLANTA, Ga. – Drum Corps International’s first foray into the gleaming new Mercedes-Benz Stadium came in the form of a two-team SoundSport competition on Saturday to kick off the 2018 DCI Southeastern Championship presented by Lone Star Percussion. After a performance of the “Star-Spangled Banner” by the Maneuver Center of Excellence Band from Fort Benning, Sonus Brass Theater of Woodbridge, Virginia and Impact Drum and Bugle Corps from Orlando opened up the event. There are approximately 150 registered SoundSport teams around the world, with events in 15 countries spread across five continents. 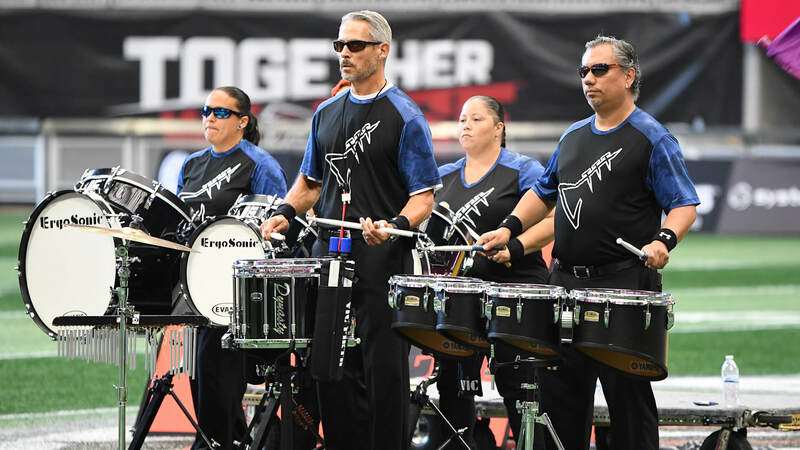 SoundSport teams perform on a 30- by 20-yard field and are allowed to use any combination of instruments, and there are also no age limitations. Sonus Brass Theater is a brass and percussion ensemble sponsored by the Shenandoah Sound of Woodbridge, Virginia. With an ensemble made up of eight percussionists and 10 brass players, the ensemble received a silver rating and Best of Show honors for its production “Shut Up and Dance” on Saturday. The program demonstrated the evolution of dance music through the ages, passing through “Danse Macabre” and the 1940s swing era to Gloria Estefan’s “Get On Your Feet,” while finishing with the titled selection by Walk the Moon. The team will also partake in upcoming SoundSport events in Allentown, Pennsylvania during the DCI Eastern Classic and at the SoundSport International Music & Food Festival during the DCI World Championships this August in Indianapolis. In addition to the team members’ love of music and performance, Peck says that there’s another element that drives the group. According to Sayre Kulp, director, arranger, and drum major for the team, the show was titled for the rock band in which a number of The Beatles first performed. Although the Fab Four are responsible for all the music in the show, the title was selected to add some intrigue prior to audience members recognizing the music. Impact is a diverse group, with members from their mid-teens to mid-70s. The ensemble is focused on contributing to the community, playing in a variety of parades and other local performances. Like Sonus, Impact will also head to Indianapolis this August for the SoundSport International Music & Food Festival.